I am a longtime proponent of eating real food – avoiding processed, prepackaged food as best as we can. A balanced diet that includes whole grains, dairy and fresh fruits, vegetables and meats leads to a healthful lifestyle. But beyond the benefits of eating natural foods, there may be some real risks with foods containing additives. 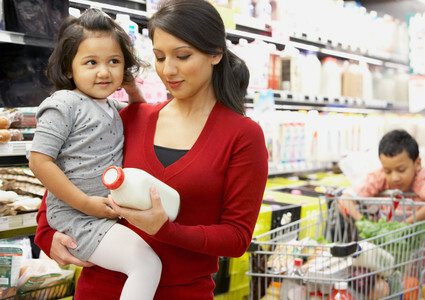 In August, the American Academy of Pediatrics (AAP) published a report on common food additives that may pose health risks for children. The report shows that some food additives can interfere with a child’s hormones, growth and development. Children are more at risk than adults from the harmful effects of additives because they eat and drink more, relative to their body weight. The AAP calls for reforms to the U.S. food additive regulatory process. Bisphenols, such as BPA, are used to harden plastic containers and line metal cans. Bisphenols can act like the hormone estrogen in the body and can change the timing of puberty, decrease fertility and increase body fat. BPA has been eliminated from baby bottles and sippy cups. Phthalates are used in plastic and vinyl tubes. Pthlalates may affect male genital development, increase childhood obesity and contribute to cardiovascular disease. In 2017, the U.S. Consumer Product Safety Commission banned the use of phthalates in teething rings. Perchlorate is added to some dry food packaging to control static electricity. Perchlorate can disrupt thyroid function as well as early brain development and growth. Perfluoroalkyl chemicals (PFC) are used to make packaging grease proof. PFC’s can reduce immune response, cause low birth weight and affect fertility. PFC’s may also affect thyroid hormones, which are important for metabolism. Artificial food colors are common in children’s food products and can be associated with worsening attention deficit disorder symptoms. Nitrates/nitrites are used to preserve food and enhance color. Nitrates and nitrites can be found in cured and processed meats. Nitrates and nitrites can interfere with thyroid hormone production as well as the blood’s ability to deliver oxygen to the body. Nitrates and nitrites have been linked to several different cancers including cancers of the brain. When it comes to making food choices, try to “eat what you know.” If you are looking at a label and don’t recognized the words or compounds listed, put the item back on the shelf. Buy and serve fresh and frozen fruits and vegetables. Heat can cause plastics to leak BPA and phthalates into food, so avoid microwaving food or beverages in plastic. Also avoid putting plastics in the dishwasher as this can cause them to break down more quickly. Avoid processed meat consumption. Expecting mothers should avoid eating deli meat and processed meats while pregnant. Use alternatives to plastic such as glass or stainless steel when possible. Avoid plastics with recycling codes 3 (phthalates), 6 (styrene) and 7 (bisphenols) unless they are labeled biobased or greenware. Wash your hands thoroughly before and after touching food, and clean all fruits and vegetables that cannot be peeled before consumption. If you have questions about how to avoid food additives, start the conversation today with your child’s Methodist Physicians Clinic provider.